Today’s a big day for all of us here at The Book Designer and our related enterprises, as we launch a new service at a new site: The Book Makers full-service book design and production. When I started this blog in 2009, I had the idea to provide authoritative information on how to create appropriately designed, industry-standard, professional quality books. It turned out there were a lot of authors looking for that kind of information, and traffic grew. I kept trying to think of more ways to help the authors who use the information here. This lead to ebooks, a training course, webinars, and other ways to educate authors. Eventually, along with Tracy Atkins I started producing products that would empower do-it-yourself authors to produce the kinds of books I’d been talking about all these years. The result was Book Design Templates, where authors can get pre-designed interior book templates that make beautiful books in Microsoft Word, Apple Pages, and Adobe InDesign. It has become more popular than I ever imagined. But there was still something missing, as the constant stream of inquiries piling up in my inbox attested to. There were lots of authors who had no intention of “doing it themselves,” and I don’t blame them. So, over 2 years ago, Tracy and I attempted to launch a “done for you” service for authors, only to be sidetracked time and again. I encourage you to visit the site. You’ll be able to see examples of the beautiful books we’ve produced for other indie authors, download a complete Services Guide, check out the various “production packages” we offer at fixed prices, and even enter the information you’ll need to get a custom estimate for your book project. What makes our service attractive to authors? Your book project will be managed by one of our book publishing experts from start to finish. Throughout the process we’ll respond to your needs, questions, and overall publishing goals. You’ll work hand-in-hand with a Book Production Coordinator trained by me and assigned to work with you through every phase of your project. Your Coordinator will make sure that your book is published to your satisfaction, designed well, revised as needed, and that you’re happy with the final product. I’ve handcrafted the designs that we use for our “bulletproof: layouts, and I oversee all custom book design projects. These services are tailored to each book, its audience, and its market. We look at each book as a unique project that will carry your words to your readers. We aim to produce books that your readers really want to buy. That’s our commitment to you. Here are the people behind the books. Over forty years’ experience, an award-winning book designer, blogger, and former book publisher. As Production Manager, Tracy strives to make sure our customer experience is second to none, where a focus on happy customers is the cornerstone of The Book Makers ethos. Tracy’s expertise also assures that each book and eBook produced meets the stringent quality and technical requirements of today’s publishing landscape. Abigail is a contributor to Sell More Books Show, the co-founder of 7th Titan Press, and has years of editing experience. As Book Production Coordinator, she will help your book reach its full potential. 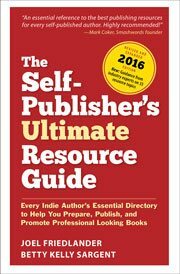 Michele is a successful independent publisher, writer, teacher, and editor with more than 30 years of experience working with authors to help them produce their best work. Marla is an award-winning editor with more than 30 years of experience creating and managing books from conception to completion. As book production coordinator, she enjoys guiding authors through the independent publishing process. By adding the capabilities of The Book Makers, I feel like what I started in 2009 has come full circle. We’re now able to offer free training and education via the blog, tools for do-it-yourselfers, and now, a complete ‘done for you’ service. If you have a book you’re getting ready to publish, let me give you an estimate on the top-quality services available from The Book Makers. That’s a near-perfect description of a key problem many authors face. I’d only add that, in addition to limited incentitve to learn something new in such a fast-changing field, there’s the fears some have about getting it wrong. For many, publishing is a mysterious process, understood only by a priestly caste who guard their secrets with care. Best of luck in your new project. I’ll send those who need such help in your direction. Thanks, Michael. Add to the mystery the reality that even if you study hard and learn everything you need to know, there’s no escaping the fact that you will produce your very first book. I don’t know about you, but my first book wasn’t really that good. I will definitely be recommending this service! Thanks Angelica, I really appreciate your support. Congratulations! I’m sure there are plenty of people looking for an alternative to the charlatans and incompetents now selling publishing services. If I was 20 years younger, I might have done this. Thanks, Michael. It’s been a loooong time coming. Sure you don’t want to sell that domain name?